Studio Concept has developed this scheme through consultation and comprehensive study of the match day setup at Lords. The proposals repsond to the needs of the MCC in 2010 at this world renound stadium that is ‘The home of cricket’. The scheme makes an important link between the WG Grace Gates and the Pavillion Stand via a boulevard of Trees that is also defined through raised planters clad in natural stone. 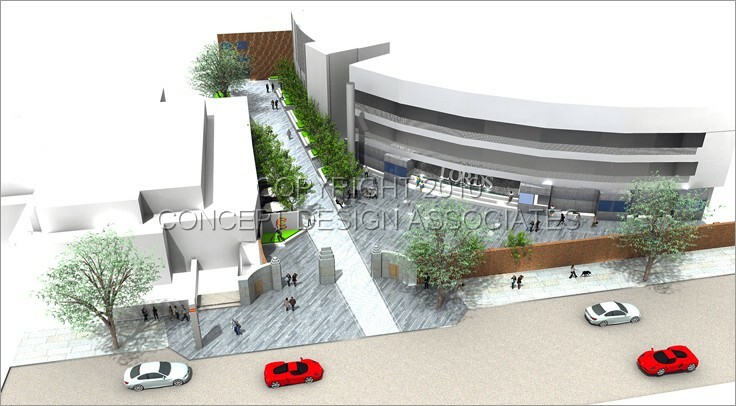 New retail units tuck in under the existing stadium eaves that frees value space for visitor circulation. 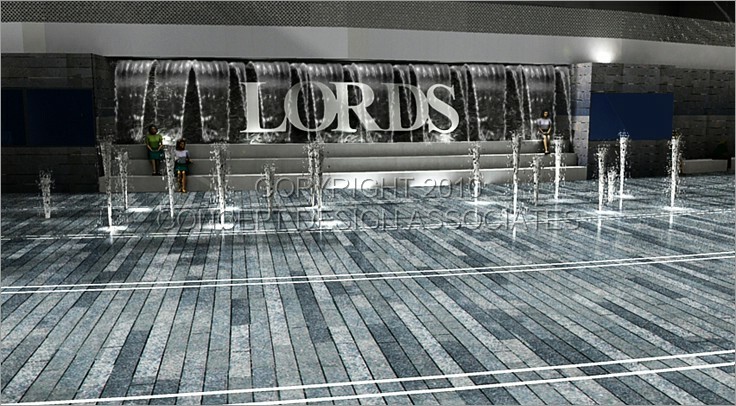 A water wall cascades over the ‘Lords’ name and in ground water jets create a backdrop to an informal event space, meeting and focal point. The WG grace statue is also relocated in closer proximity to the Gates with an extention to the adjacent restaurant terrace that offer greater opportunities for hospitality. Overall the project successfully address many issues surrounding the existing set-up and goes along way to improving the visitor experience and image of the Stadium and the MCC at Lords.